A massive trade deal between Europe and Canada is on life support. 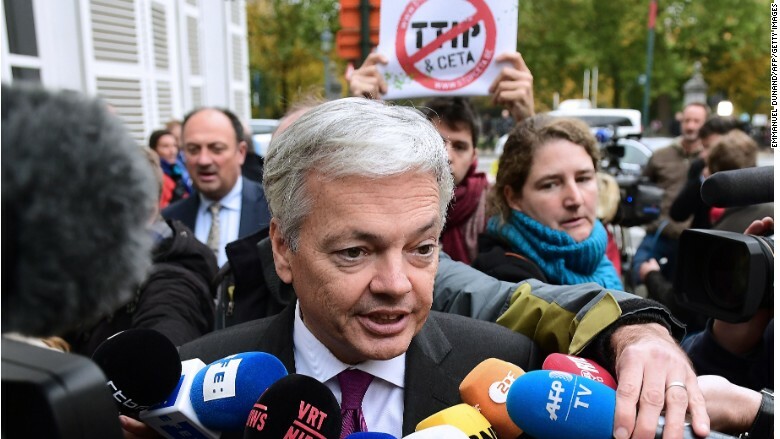 Last-minute negotiations to salvage the European Union's signature free trade agreement have been dealt a major blow by a rogue regional government in Belgium. Belgian Prime Minister Charles Michel was unable to break the impasse during talks Monday with officials from the French-speaking region of Wallonia. Michel has informed European Council President Donald Tusk that he will not be able to sign the deal, a representative for Tusk confirmed. The EU-Canada trade deal, known as CETA, has been under negotiation for seven years. EU leaders have voiced unanimous support, saying the deal would provide a boost to Europe's flagging economy. But one regional EU government, Wallonia, has stood in the way of ratification. The EU had set a deadline of Monday for the region, which is home to 3.5 million people, to agree to the treaty. It now appears that the EU will be forced to cancel a summit later this week where Canadian Prime Minister Justin Trudeau had been expected to officially sign the deal. It was not immediately clear whether talks would resume. Tusk is scheduled to speak to Trudeau later on Monday. The Wallonia region's Socialist-led government has raised concerns over protections for the environment and workers. Belgium's Foreign Minister Didier Reynders answers questions from journalists as he arrives to attend an emergency meeting of all Belgium federal entities. It has also questioned the role of multinational companies based in Canada and their ability to access Europe's market. The deal's apparent collapse raises fresh questions over whether Europe is a reliable trade partner at a time of rising political opposition to globalism. 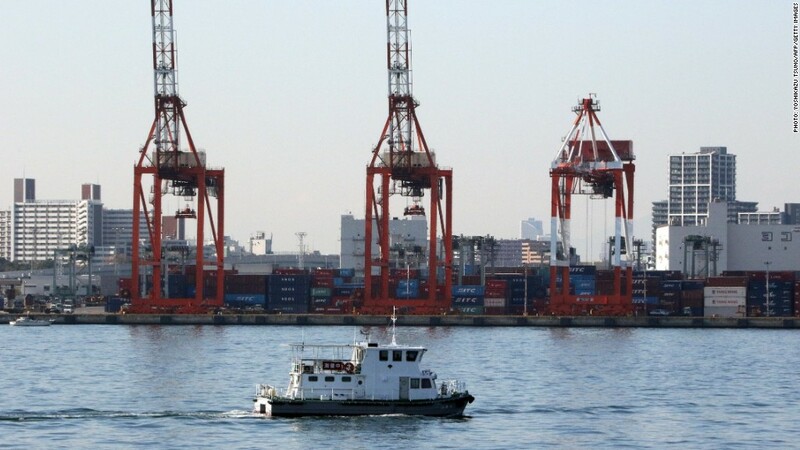 A free trade agreement between the United States and Europe, the Trans-Atlantic Trade and Investment Partnership, has also stalled amid growing political opposition. And future deals, including with Britain after its vote to leave the EU, would be very much in doubt. Canadian negotiators walked away from talks on Friday in a disillusioned state, with the country's trade minister openly questioning whether Europe is capable of reaching a deal. "Canada has worked very hard. 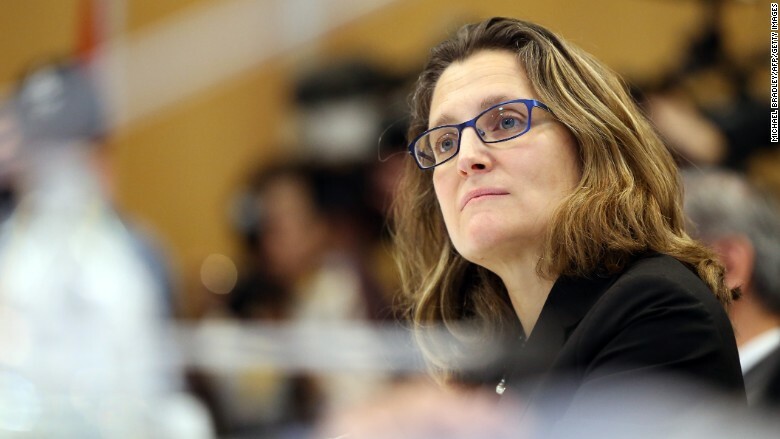 I have worked very hard," Canadian trade minister Chrystia Freeland told reporters. "But it seems to me that the European Union is not capable of having an international agreement, not even with a country that has European values like Canada, not even with a country so nice and patient as Canada." Canada's trade minister Chrystia Freeland. -- Chris Liakos, Ivana Kottasova and Laura Goehler contributed reporting.